Southwest Microwave has expanded its suite of intelligent microwave sensor technologies with the introduction of the IP-based INTREPID™ Model 336-POE and Model 316-POE Digital Microwave Links. These all-weather, Power over Ethernet (POE) sensors make reliable perimeter security more accessible than ever­, coupling field-proven RF detection performance with secure network connectivity. With a range of 457 meters (Model 336-POE) / 122 meters (CE-rated Model 316-POE), operating at K-band frequency, these technologies are ideal for the protection of fence lines, open areas, gates, entryways, walls or rooftops. The sensors employ advanced digital signal processing algorithms to optimize discrimination between intrusion attempts and environmental disturbances, mitigating risk of site compromise while preventing nuisance alarms. The system recognizes unique profiles of intruders walking, running or jumping through the detection field, offers enhanced crawl and vehicle detection, and optimizes performance in narrow corridors. Along with instantly triggering an alarm when an intrusion attempt is detected, the sensors alert on unexpected changes in microwave alignment signal. A configuration security feature also provides notification when changes to device settings are attempted, ensuring that only approved modifications are implemented. Employing a single Ethernet cable for power and data transmission, each sensor operates as a network element, significantly reducing wiring requirements and seamlessly integrating with other IP/POE-based security devices, such as cameras and access control systems. The sensor features an on-board network server for set-up and control that supports multiple ports and sessions. 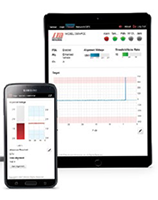 Sensor configuration, alignment and testing are handled using an embedded, browser-based Installation Setup Tool (IST), eliminating the need for software installation and simplifying device administration or diagnostics. “These sensors integrate security with convenience by successfully pairing Southwest Microwave’s superior microwave intrusion detection capabilities with the ability to access and manage a sensor, at any time, from any location by any authenticated PC or handheld device connected to the network,” said Maira Zanrosso, Southwest Microwave’s Director of Sales and Marketing. Alarm monitoring for the Model 336-POE/Model 316-POE is handled via Southwest Microwave’s server-based POE control module (CM-POE) or through an available no-cost SDK that simplifies high-level interface to third-party physical security information management (PSIM) or video management systems (VMS). Learn more about INTREPID POE System Controllers. CONTACT US for a free quote or project assistance.